The 2011 Redline Dodge Charger brings the 2011 version of the vehicle lower to the ground. The Chrysler Group LLC and Mopar will have 35 customized vehicles at the 2010 SEMA show in Las Vegas next month. The Mopar stand will include cars from the Chrysler, Dodge, Ram, Jeep and Fiat brands. 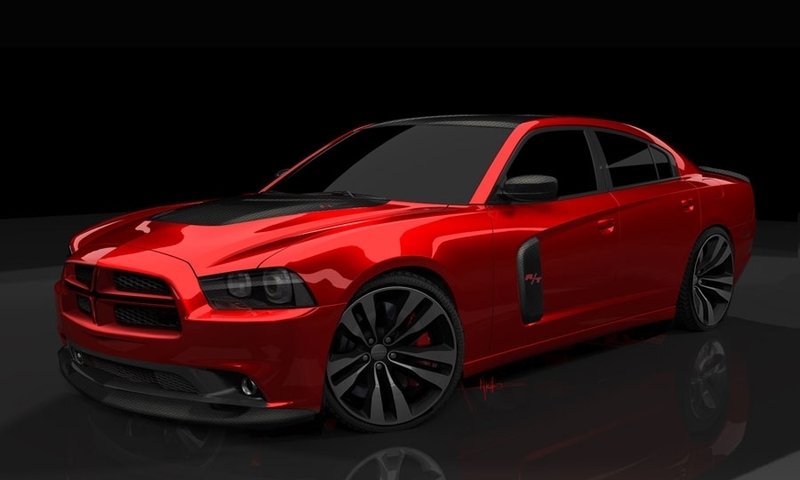 Among the Mopar customized vehicles will be the 2011 RedLine Dodge Charger designed by Mopar Underground. It has a 5.7-liter Hemi with Mopar headers, exhaust system and a cold-air intake. The red-and-black RedLine Charger includes a black roof, front lower and rear-end treatments as well as blacked-out headlamps and tail lamps. It also has carbon-fiber lower air dam/splitter, rear spoiler and mirror caps. The RedLine Charger is dropped an inch from the standard Charger ride height and rides on 22-inch alloy wheels. The red-and-black interior includes red-leather Mopar Katzkin seats and a unique SRT steering wheel with paddle-shifter controls. 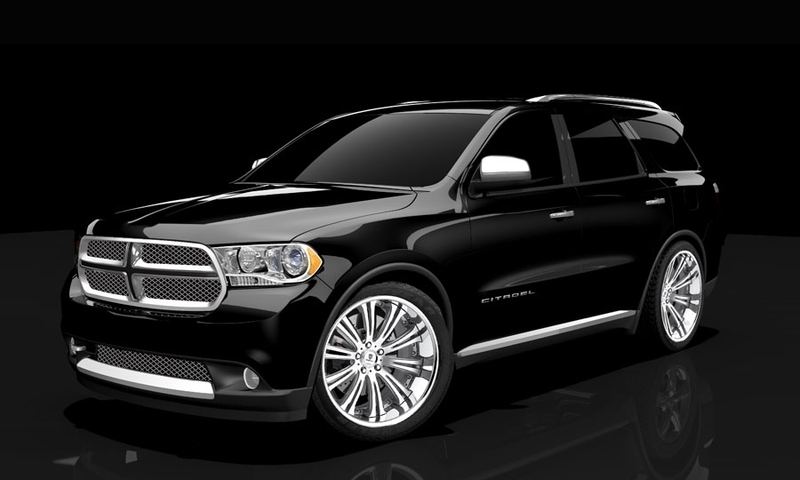 There will also be a Mopar customized 2011 Dodge Durango dubbed the Citadel Black & Tan. The exterior of the Citadel Black & Tan includes a chrome grille, a stainless-steel-tipped Mopar/Corsa exhaust and 22-inch wheels. The shiny black Citadel is also lowered with Mopar lowering springs. Mopar will also take a 2010 Fiat 500 customized by Mopar Underground to SEMA. The 500 includes a front air dam/lip, lower sill, spoiler, rear valance and brake ducts designed by the Mopar Underground team. The car has flared wheel arches, 18-inch Alcoa wheels and a lowered ride height. The exterior is painted dark thunderbolt gray. It includes a black roof, hood and fascia graphics to tie the headlamps together. 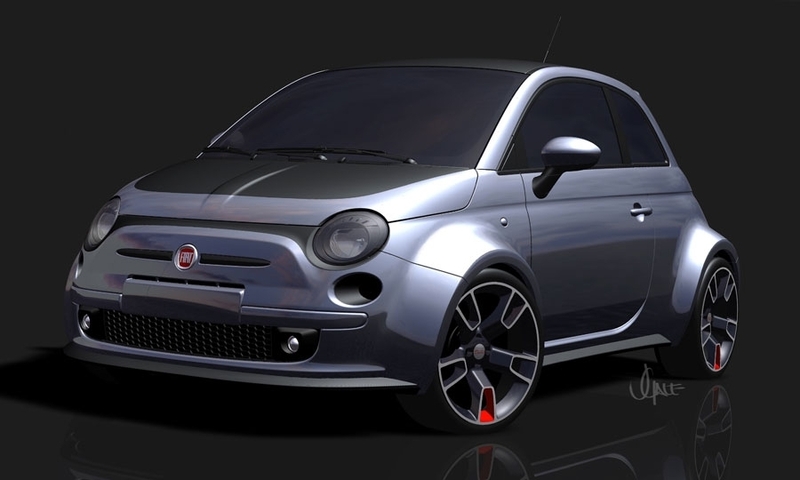 The Fiat 500 will have a Mopar custom exhaust system and a Mopar strut tower brace to reduce body flex. 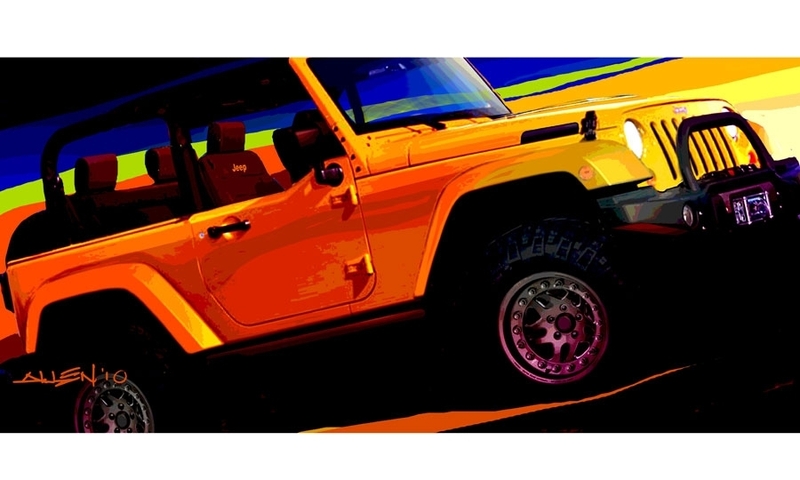 Mopar has also been working on a trio of Jeeps, the first being the 2011 Wrangler Sahara Mopar Edition. The fire-red ride is fitted with a Mopar lift kit and 35-inch all-terrain tires mounted on AEV wheels. It also has a steel front bumper with built-in fog lights, a steel rear bumper with a tire carrier, a Mopar/AEV hood and a Warn winch. 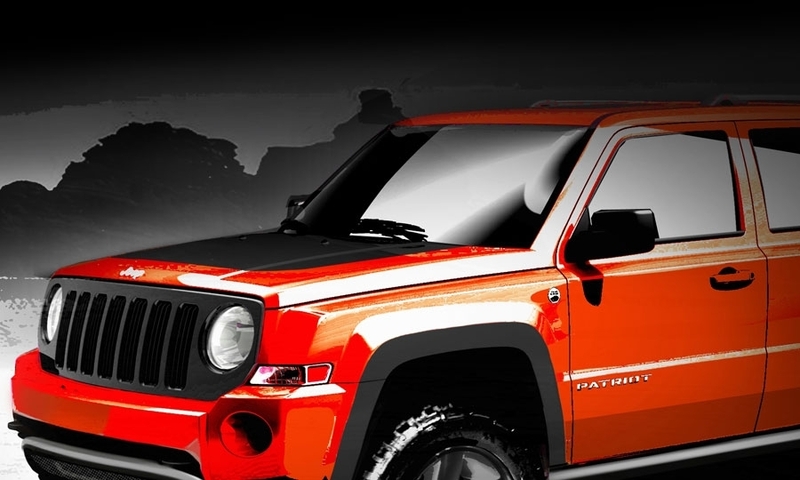 There will also be a customized 2011 Jeep Grand Cherokee that Mopar calls the 2011 Jeep Street Cherokee. The Street Cherokee is powered by a 5.7-liter V8 engine. The dark charcoal exterior includes custom 22-inch alloy wheels, Corsa exhaust tips, blacked-out headlamps and a chrome grill. The interior of the Street Cherokee has Mopar floor mats, lighted door-entry sills and bright/rubber pedal kit. The stainless-steel door sills are etched with the Mopar logo. Mopar will also have its 2011 Jeep Grand Cherokee Off-Road Edition on display. The silver Off-Road Edition is powered by a 5.7-liter V8 and includes a lift kit and 33-inch tires. The exterior has Mopar skid plates, rock rails and tow hooks. Mopar has not released details on the other 29 vehicles it will have on display at SEMA.